The words and pictures across the headlines in the news today are very similar to what they were on the same day five decades ago. 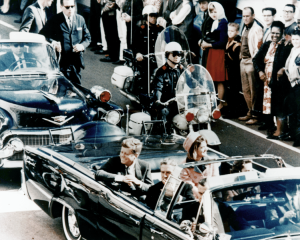 Fifty years have gone by since President John F. Kennedy was assassinated, yet mystery and a plethora of conspiracy theories still surround this tragic moment in American History. A few days after the assassination Brother Branham preached ‘What Shall I Do With Jesus Called Christ‘ during the Sunday morning service at the Branham Tabernacle. Even though Brother Branham disagreed with President Kennedy on politics and religion he made the following statements in regards to his passing. 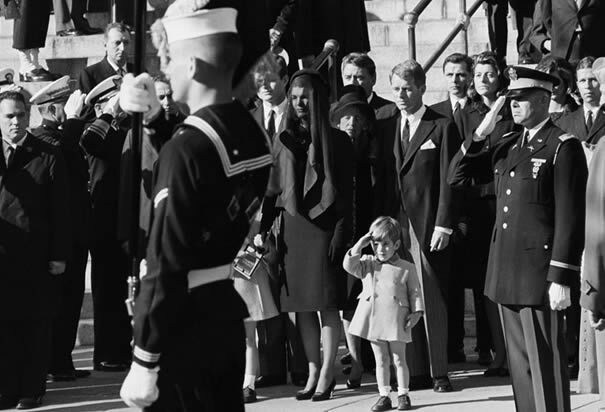 “Now I’m sure, this morning, that we’re all aware of the great sadness that’s happened to this nation, of the loss of our President, Mr. Kennedy. Though I disagreed with the man in his politics and in his religion, but yet he doesn’t deserve to die like that. No. And leave those little children behind, and no daddy. And a mother that’s… Mrs. Kennedy, though I certainly wouldn’t agree with her, and her ways and things, maybe, but, remember, she’s a mother. She just lost her babies, and she lost her husband. And he fell right in her lap, and her own husband’s blood poured out over her lap. That’s awful. Did you ever think… Sometimes we think she sets a pace for the nation, in styles and things. That may be so, too. 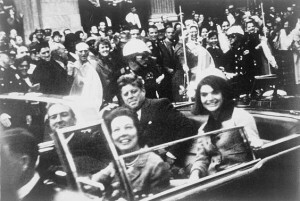 But did you know, Mrs. Kennedy never did hear one of these Messages I preach about that? If she might hear one of them Message, she might do different. And some of our sisters that hear it, and still won’t cope with it. See? See? See? She was raised a Catholic; that’s all she knows. Nothing against that, see. She… That’s a system. Nothing against the people, the Catholic people. That’s a system, the Catholic system, just like Presbyterian, Methodist, or any of the rest of them, see, or Pentecostal, any of it. It’s the system, not the people. 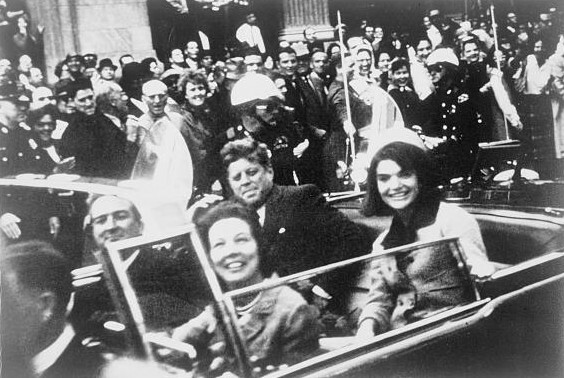 Mr. Kennedy, I think, done a–a good job of being President. My heart goes out for his wife. And I feel real sad about it, that even our own nation would, the hoodlums and so forth in our nation, would do a thing like that. If you can’t disagree with a person, right, and take your own stand; and is no reason to kill another man, just because of things like that. And them little children know, said, one little fellow said, “Now I don’t have nobody to play with me no more. Daddy is gone.” See? 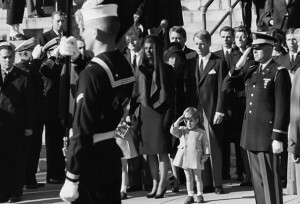 “But I think, for the sake of this mother, a human being, a mother of children, Mrs. Kennedy, couldn’t we just stand a moment for a prayer for her? Lord Jesus, we human beings, we have a feeling for one another. And we are sorry, Lord, that our President was shot down the way he was, in cold-blooded murder. And we’re so sorry that our nation has come to this spot, that such people like that are–are in our nation, that would kill a human being in cold-blooded murder; like they shot that colored brother not long ago, and just shot him right down in cold-blood, of race prejudice. And we’re so sorry that such people exist among us, Lord. We, our weakness, has brought this about. Brother Branham made this statement in 1962, but these words are sadly true again today. With the recent announcement that Pope Benedict XVI will resign as pope on February 28th I have seen a lot of ‘buzz’ circulating via social media, text, news, etc of ‘The Prophecy Of The Popes’ by Saint Malachy. The first publication of these prophecies appeared in 1595. This publication was written by Benedictine Arnold de Wyon, but he attributed them to Saint Malachy (a 12th century archbishop). The following is the English translation of this specific prophecy which was originally written in Latin. I’m reminded of another prophecy by a vindicated prophet of God. Brother Branham is quoted frequently as referring to a “pope out of America“. This would fit well with the recent predictions by the news media that the next pope will come out of Africa or Latin America, but that is not what he said. I felt led to write this article to caution against putting too much confidence, or focus on these prophecies of St. Malachy. If the next pope does not come out of the United States you will find yourself out on a limb, and have to decide whether you can admit that you (and St. Malachy) were mistaken, or if you will cling to your own understanding of St. Malachy’s prophecies, and declare that Brother Branham was incorrect instead. This is the problem we have seen so frequently; people get out on a limb with their assumptions of how a vision or prophecy will be fulfilled, and then have too much pride to admit that it was their own understanding which was incorrect. This leaves them with no option but to submit that Brother Branham or the Bible must have been wrong instead. I pray that I never have so much pride that I cannot admit when my own understanding is wrong. Pope Benedict XVI has announced that he will be resigning on February 28th. This is the first time a pope has resigned in 600 years. That date will also mark the 50th anniversary of “The Attraction On The Mountain”. 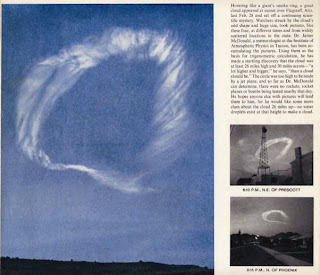 According to the May 17th, 1963 issue of Life Magazine: February 28th, 1963 was the date that the cloud picture was photographed. He may not have realized the Spiritual application, but I believe we can say, ‘Amen’. In 1918 (93 years ago today) World War I mysteriously ended (as a fulfillment of Revelation 7:1-3), and what we now call ‘Veterans Day‘ began as the ‘Armistice Day‘ celebration. 1 ¶ And after these things I saw four angels standing on the four corners of the earth, holding the four winds of the earth, that the wind should not blow on the earth, nor on the sea, nor on any tree.